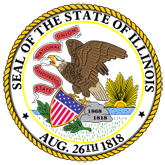 Press Release: The Illinois Department of Veterans Affairs (IDVA) has asked Nintendo to restrict the internet augmented reality game, Pokemon Go, from any of its IDVA Veteran Homes properties and will ask the public not to play the game on these grounds as well. 1. No Pokemon Go access on Veteran Homes grounds (16-0546-IDVA_No_Pokemon_Go_Release.pdf).